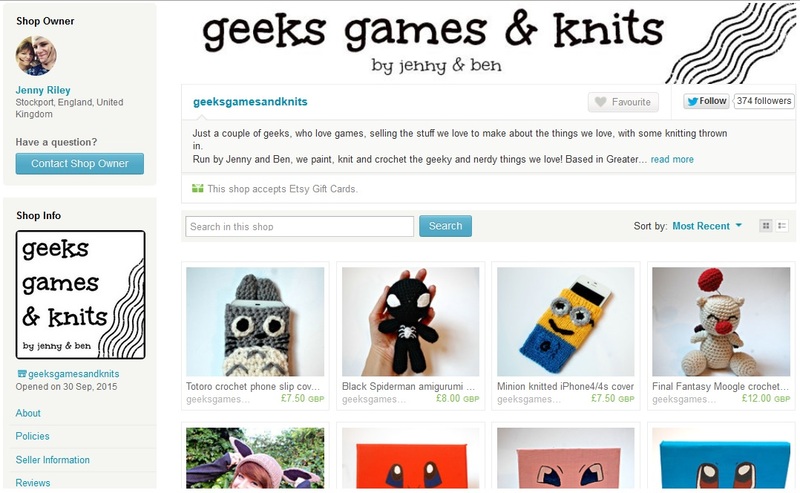 The crafty challenge for September was to open a new Etsy shop with Ben, and I'm delighted to introduce you geeks games & knits! 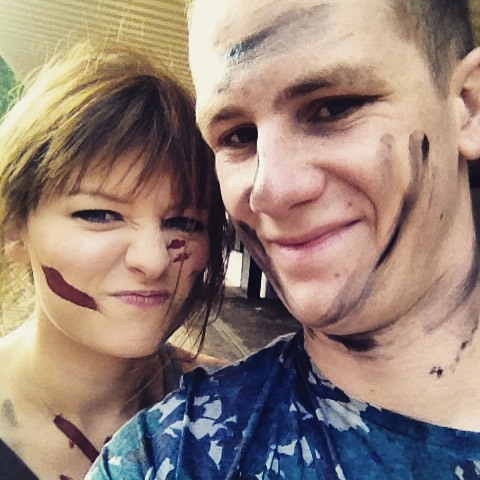 All profits we make will go towards our wedding and house, and we are also VERY happy to talk about commissions if you want something a little geeky and special - hit me up! 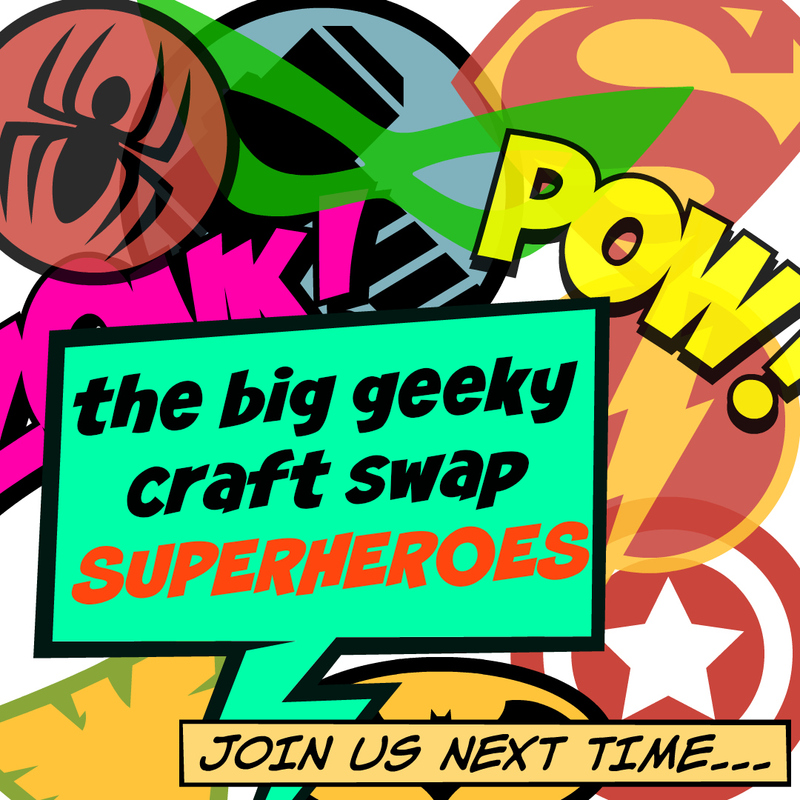 I hope you'll agree, the name pretty much says it all - just a couple of geeks, we love video games and nerdy stuff, and that's what you will find in our shop alongside some knits. We came up with the name together and I think it covers it all. Right now we have 9 things up for sale in the shop - a few things you will recognise from this blog (spot the minion phone cover anyone?) and there are also a couple of new additions. I hope to, in particular, blog about the eevee inspired hat that we have up for sale in there, so I can tell you some more about it and show off how gorgeous Katy looks in the pictures. I've had an Etsy shop open in the past, but this used my old blog name pretty column and really didn't reflect the newly named blog. I've closed that one now and started fresh, putting a heck of a lot more effort into this one already and I think (hope) it will pay off! You can read more about the shop origins and what we will be up to on the About Page. You can also find the shop very easily by clicking on the big friendly button in the side bar. If you know anyone who might be interested in what we have to sell, do point them in our direction, and keep an eye on the shop in the coming months, as I have a LOT of ideas of what I would like to sell on there, and will be looking to update it regularly! 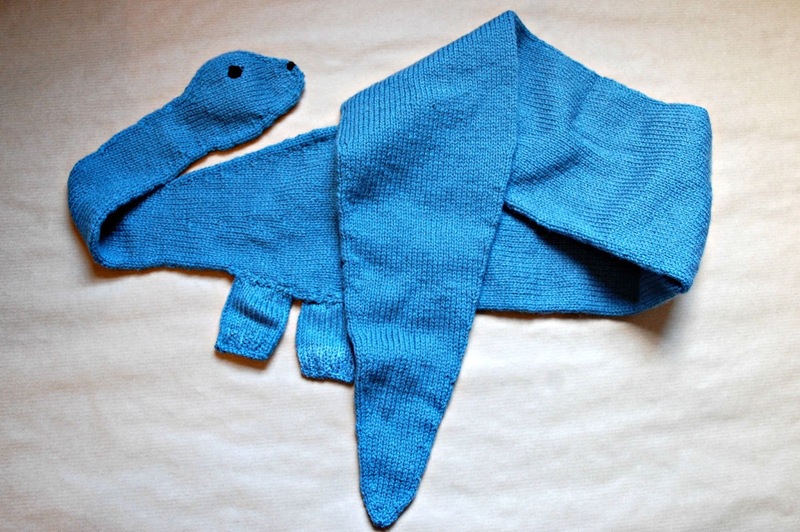 Well here he is, finally, the surprise birthday present knitted for Ben's birthday last weekend. I am very happy to say that I successfully knit the whole scarf without him knowing, and I finished it the evening before so that he truly had a surprise on his birthday! The night before I was very nervous, as I have been knitting this for just over a month, and it occurred to me he might not like it. He assures me though that he loves it, and has even worn it out on a cool evening already! As you can see, what makes this relatively simple scarf so geeky and excellently prehistoric is the dinosaur head and neck shaped on one side of the scarf. There are also two feet placed (approximately) where they ought to be, and a tail shaped at the other end. 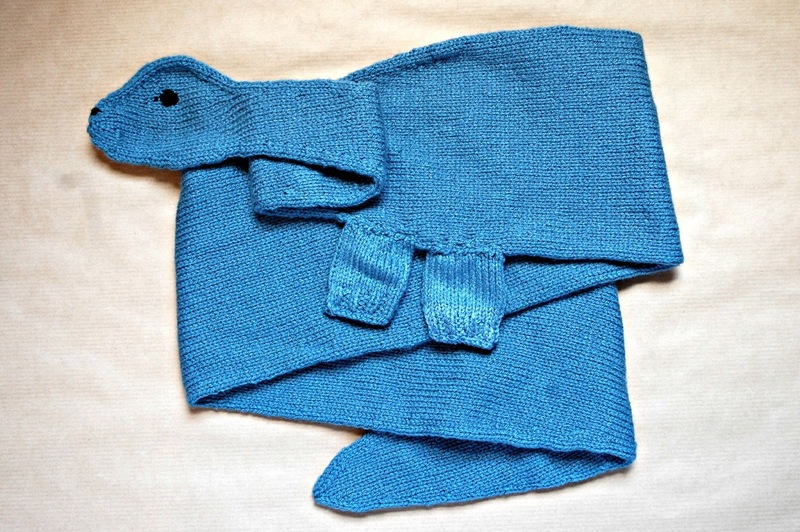 This pattern is very well suited for a beginner (it uses only simple increases, decreases, and deals exclusively in stockinette stitch) and is supposed to be worked in two flat pieces, which you then sew together. 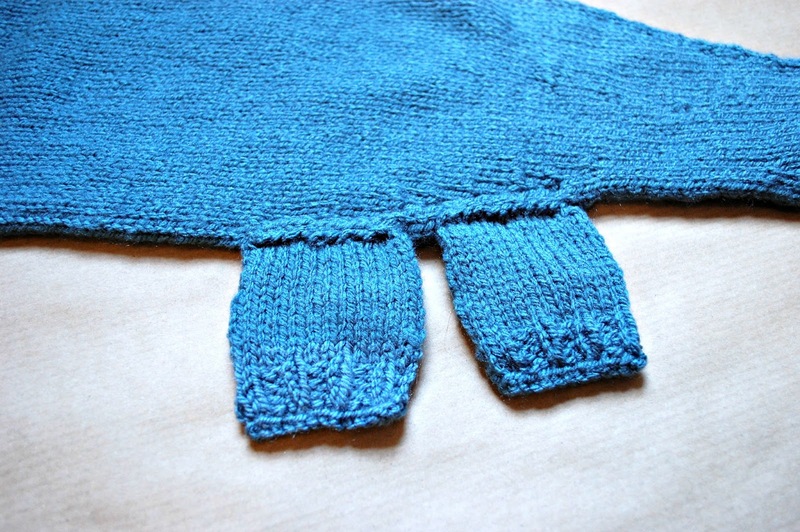 I opted to cut that out and instead knit the scarf in the round, which was very easy! 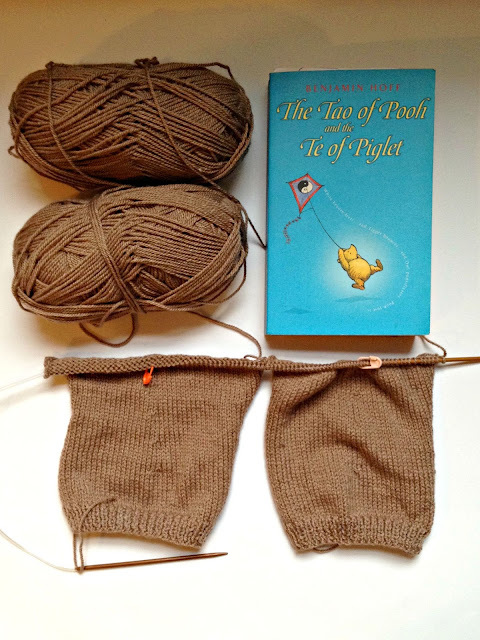 I simply worked one row from each side alternately, and knit for every designated purl row. 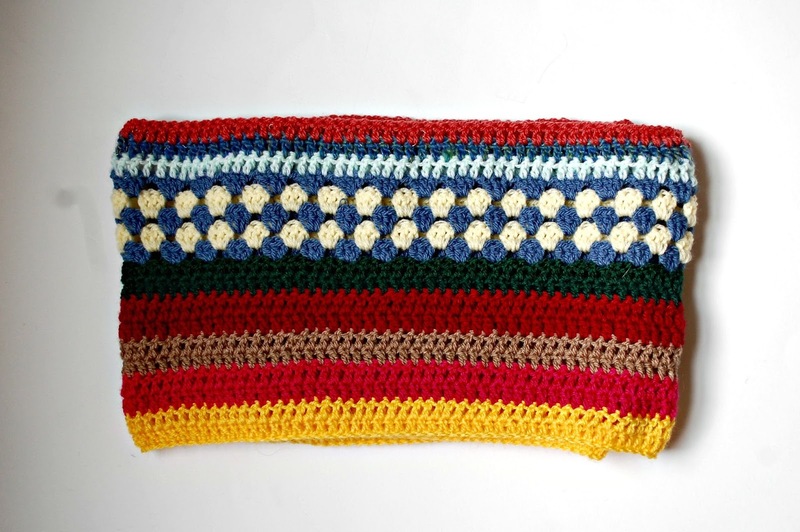 The pattern comes from Louise of Sincerely Louise, who you may know for her wonderful Faux Taxidermy Knits. I nabbed the pattern while she was doing a free give away a few months ago, to celebrate the release of Jurassic World in cinemas. 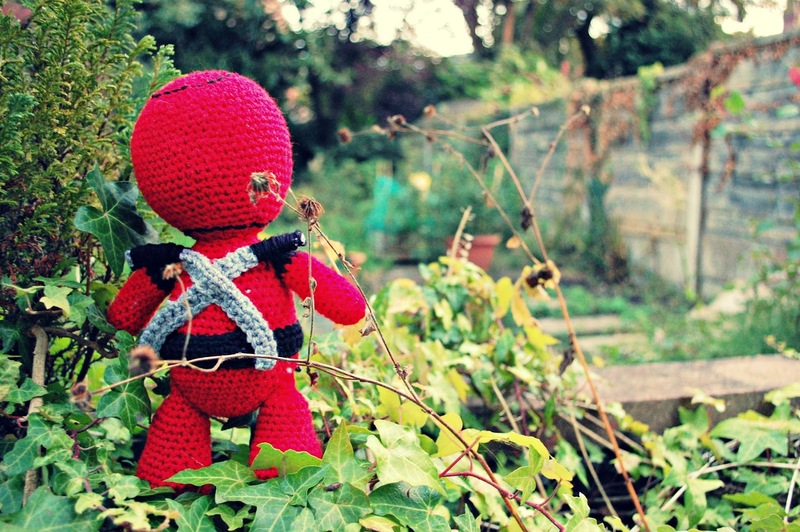 You can now buy the pattern from Ravelry. The only problem I have with the pattern is that, the version I have at least, seems to be missing a huge section of the tail. 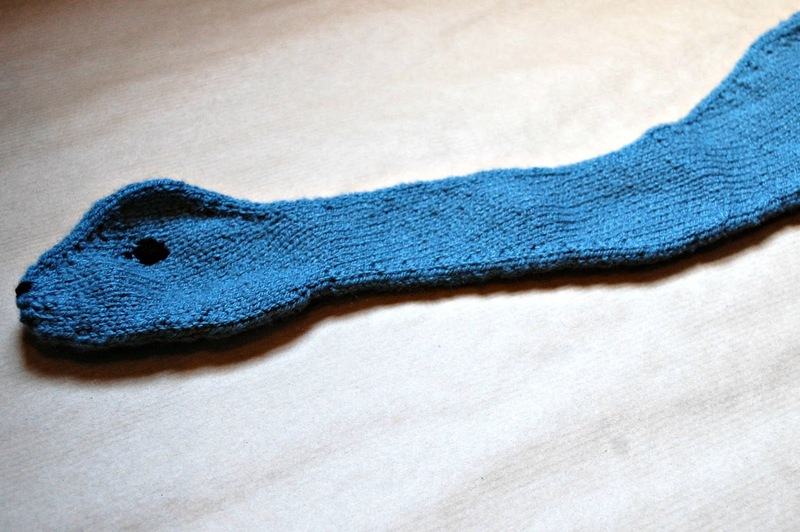 The pattern stops after 37 rows of the final section, leaving me with a very short stub. I tried to copy the pictures from the original pattern as best I could when shaping the tail, but I can tell I didn't make the tail nearly long enough (luckily it still wraps round Ben ok!). I couldn't manage to get a hold of Louise to get the correct pattern, but she looks to be very busy with all her awesome patterns so I don't mind. I also ought to have gone down a needle size I think so the scarf was a little skinnier, but nevertheless it's all worked out pretty well. This was also my first time knitting with the Women's Institute range of yarns, released over a year ago at Hobbycraft. I used the 100% premium acrylic DK yarn, but the quality is incredibly high and the yarn is very soft and super easy to work with! When I've made a larger dent in my stash I will certainly treat myself to many more colours (always 3 for 2 on wool and yarn at Hobbycraft - highly dangerous!). Here he is finally! 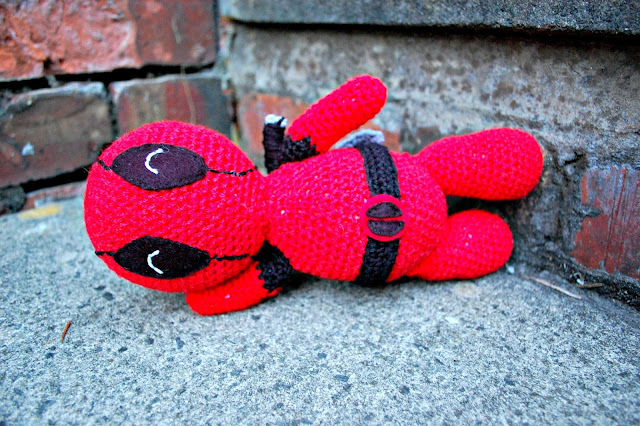 Deadpool was a character I decided I wanted to crochet last month (if you haven't a clue who he is, he is another Marvel character who will be getting a film next year, see the trailer here, but be warned its NSFW/18) but I couldn't show you any decent pictures because I broke my camera lens (derp!). I have another one now though so I can show him off to you finally! 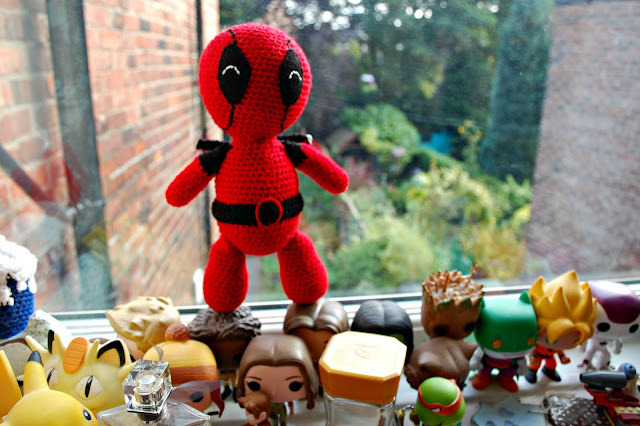 Deadpool was crocheted using double knitting acrylic yarn and a 3.5mm hook, as Stephanie always recommends using a smaller hook to make everything a lot tighter, which after giving it a go a few times I heartily agree with. You can buy Cygnet DK yarn from St Ann's Hospice charity shops if you are in the UK . 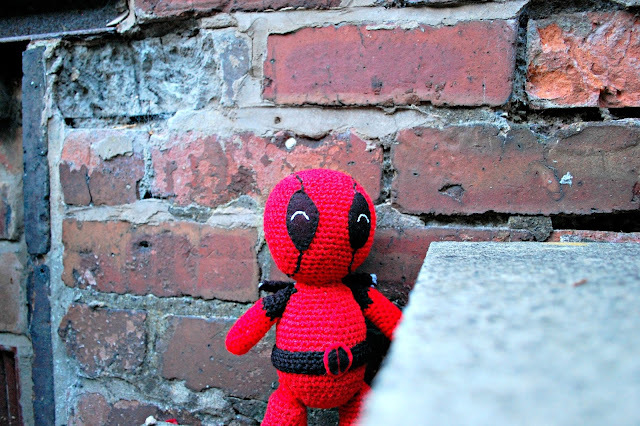 I originally planned on making Deadpool in the style of my Spiderman, but I thought this wouldn't give Deadpool the detail and character that he deserves (and let's face it, Deadpool fans know this guy is a character!). I still think he could do with a tiny gun strapped to his leg perhaps, but two katanas are probably weapons enough on a 'toy' right? I opted to make him a little chibi, with a large head much like my amigurumi moogle, because I definitely prefer my crochet creations with oversized heads, I think it makes them look cuter, and hides the fact I am useless with body proportions. The eyes, and belt buckle, are done with felt and embroidery thread, and I stitched the mask detail on with black DK yarn (same used for the swords, shoulders and belt). I think if/when I make him again I will forget the stitched mask detail though, it doesn't add much and it took a few attempts to make it look neat, so not worth the trouble really. Deadpool will be made available as a free pattern on this blog, which I intend to write up for you guys in first few days of October. I've given planning blog posts a go, and turns out I have a lot I want to get in so that's when I feel I can get it ready for you! 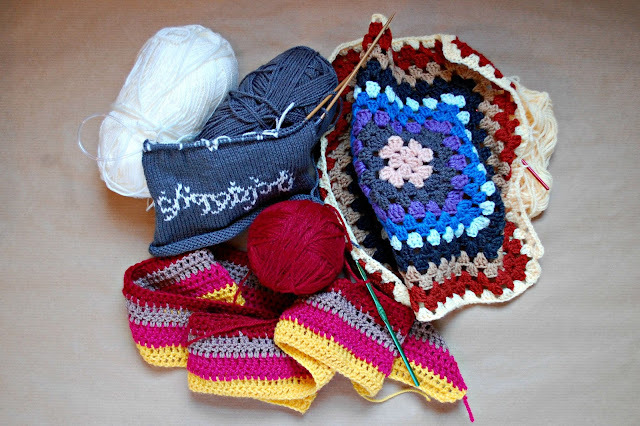 Also on Tuesday the spice of life crochet along starts, and I am eager to get to working on that. I've also cast on a Christmas present too which I am working away at - planning! Let's hope I can keep this up eh? 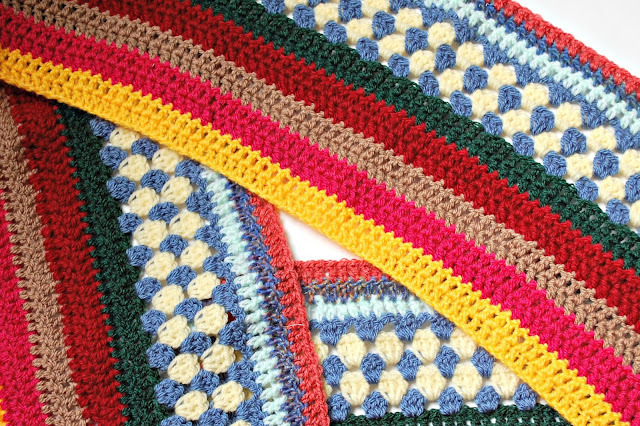 Have you heard yet that Sandra at Cherry Heart is doing a blanket CAL with Black Sheep Wools? 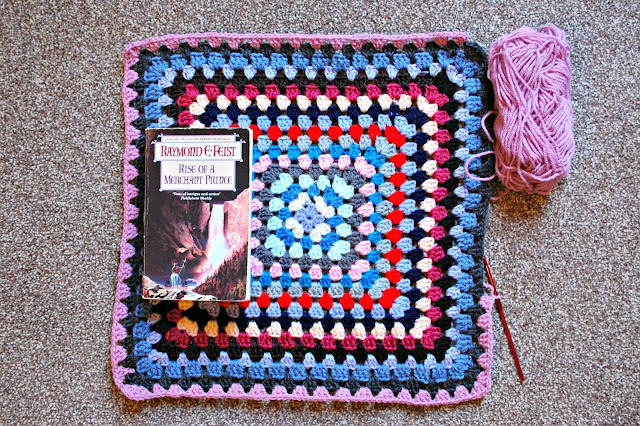 I decided that I am going to join in with this, and I chose the colours to use in my blanket last night - can't wait to share progress with that as time goes by! Currently knitting this surprise for Ben. The deadline is Saturday and with any luck I will have it finished tonight while I watch cartoons with my sister! I can't wait to finish this so I can show it off to everyone! And, even though I'm undertaking the spice of life blanket CAL next week, I am still working away on my stash busting blanket - I just finished the 4th huge granny square, just 5 more to go! Be sure to check out my other posts on the Spice of Life! 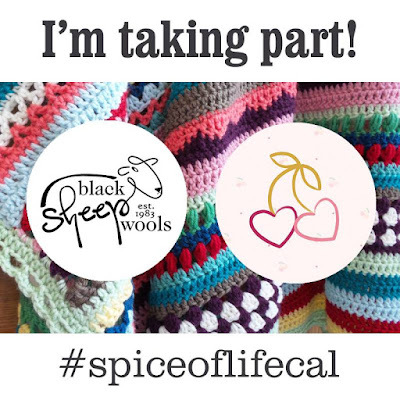 I'm very excited to declare that I've decided to take part in the Spice of Life crochet along, hosted by Black Sheep Wools and, one of my favourite bloggers, Sandra from Cherry Heart. 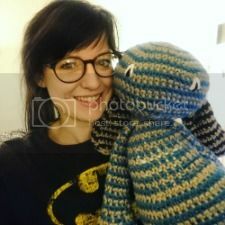 I've never taken part in a crochet along (CAL), or a knit along for that matter, but I've always followed them with interest when I've spotted them here and there on various blogs and knitting supplies websites. 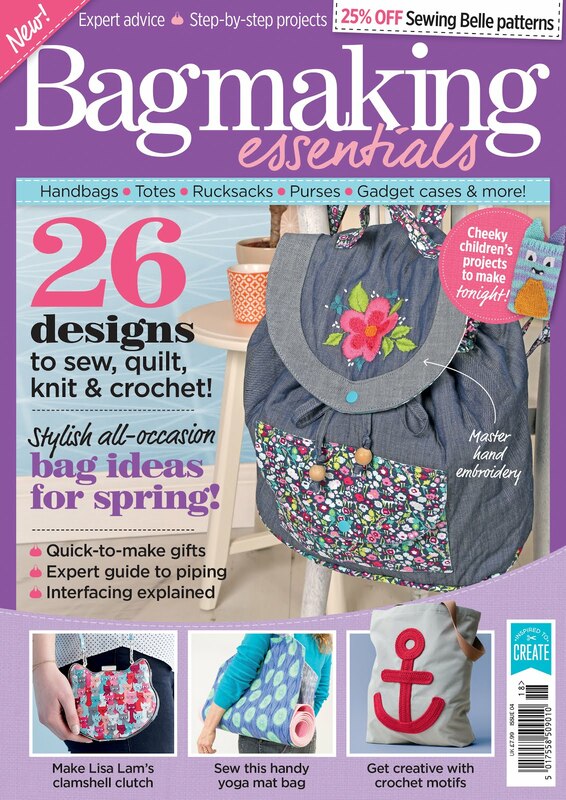 Then last week I received my regular newsletter from Black Sheep Wools, in which they announced the Spice of Life CAL, and that they had put together two yarn packs that you could buy if you wanted to join in. Unfortunately I just bought a lot of yarn for upcoming Christmas present projects, so I assumed I couldn't do yet another CAL. However, the pattern is free, and I have SO MUCH wool to use up, and bonus I saw the blanket and knew exactly who would like it for Christmas if I was to make it! So not long later I decided hey-ho, lets join in! As the person I'm making this for has no idea that they will receive it come December, I will be able to share regular updates with you as the pattern comes out week by week, and everyone gets stuck into their own blankets! The first instalment comes out next Tuesday, 22nd September, so hopefully I will get my skates on and be able to post part 2 to the CAL not long after! 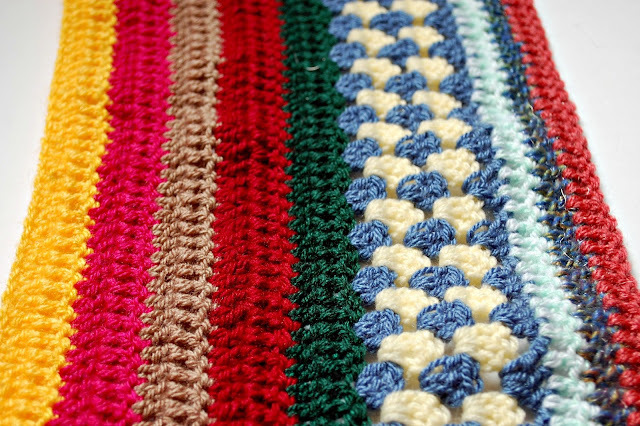 Blankets should (hopefully) be finished early November, if we follow the schedule, which will certainly put me in the smug zone if I can have a big Christmas present done that early! If you are taking part, why not leave a comment so I can find you/your blog and follow your progress! 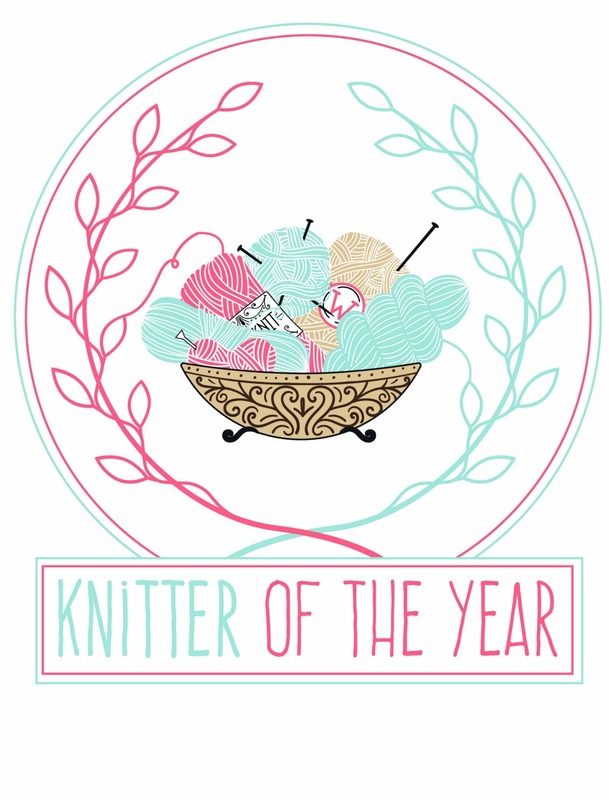 And if you aren't taking part but want to, click the CAL button on the sidebar (to the right) to take you to Part 1 over on Black Sheep Wool's website, or read about it on Sandra's wonderful blog here. 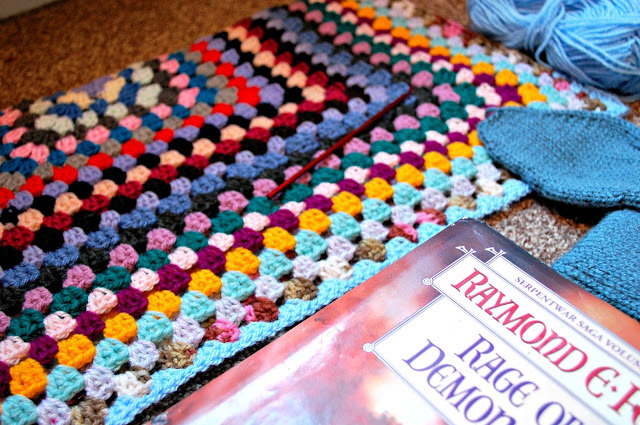 I'm already chatting happily away to people on the Facebook group about the blanket, and can't wait to share progress as I go along here too :) Have you ever done a CAL or KAL? I can't wait to get my new camera lens so I can stop using my phone! Currently knitting I'm still working away on the draper cardigan - here you can see the two front panels are slowly growing, the waist shaping is done and soon the bust shaping will be started, then all that's left is the collar and the sleeves ... and the blocking and the sewing ... eesh getting there! I've made lots of progress on the birthday gift, but there can be no big reveal until after the 19th September which is of course the big day! 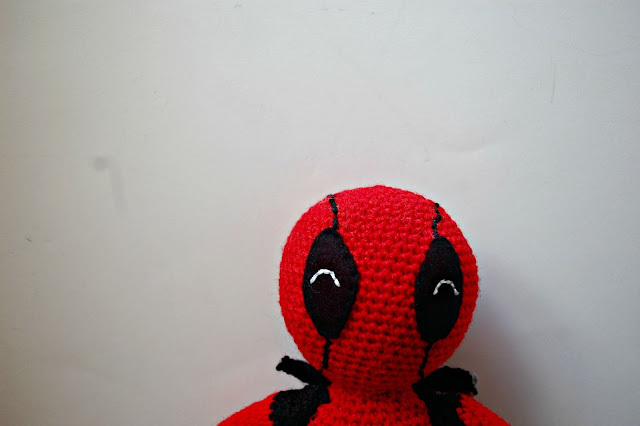 And hopefully you will have seen by now that Deadpool is all finished! I'm waiting on a new camera lens so I can take a proper photo shoot of him and start to put the pattern together, but I couldn't wait to show you - he was looking particularly good on Instagram. Currently reading The Tao of Pooh by Benjamin Hoff. I read this with my mum many years ago, and it was sitting on my bookshelf just asking to be read again. If you have an interest in (Eastern) philosophy, and like me you particularly enjoy when philosophical arguments can be applied to, and found in, well known stories, then this is the book for you. Hoff writes in the style of A.A.Milne and has conversations with Pooh and his friends, while applying Taoist principles to everyday life, using the well known Winnie The Pooh tales and traditional Taoist stories. It's absolutely brilliant and just what I needed recently, as I've been feeling a little down and out of sorts. It's quite uplifting and suggests a different way of seeing everyday life, without preaching or insisting that you adhere to it's suggestions. The copy I have also includes The Te of Piglet, again the same principles but exploring a slightly different philosophy. Two books in one - this will certainly help me with my reading challenge! According to BBC Radio 2 this morning, today is the first day of autumn on the meteorological calendar - how does that make you feel? I don't know about you, but it makes me feel great! Summer has been fairly non-existent for a little while here in the North West of England (where was that heat wave we were promised?) and it feels good to finally just accept that autumn is (sort of, officially) here now. I love autumn and winter so so much, and Christmas is finally looming once again. How does all this relate to my plans this month? Even though I have been in full time work for 2 years (wow that's flown by!) I still think of September as the start of the year - schools start again, the season's start again, and my holidays at work regenerate (if we think of the working year as a video game). And with this September, me and Ben are hoping to start something new together which, to me, is very exciting. Open a new Etsy shop with Ben. Recently Ben has really found a creative hobby in painting, and has been doing some excellent Pokemon canvases for me. Early August he made an off-hand comment about how he could sell them and at what sort of price. The next day, I started to think about Etsy and how Ben actually could sell his canvases (of which I will share on a blog post with you when the shop is up and running!) and how I could try selling my makes again alongside him, together, as I feel this is the way we would really succeed at this! Doing something together will help us encourage each other to do better and to succeed, plus my old Etsy shop is no good with my blog name change. Since then we have been slowly building up some stock to put online and sell. We need to make some more stock before we can open up, but that's this month's challenge, along with ultimately opening the shop in the hopes that leading up to Christmas we can iron out any bugs etc. so that people will buy presents from us. And we plan to put all of our profits towards finally organising our wedding, which I think makes it all the more exciting! Watch out for the shop opening later this month!